Glazed Donut by Holy Cannoli is the flavour of a fresh from the oven soft donut glazed to perfection. The latest creation provides flavours of delectable creams mixed a classic donut shop favorite. Holy Cannoli Glazed Donut e-liquid provides a fried doughnut on the inhale with a sugary glaze on the exhale. 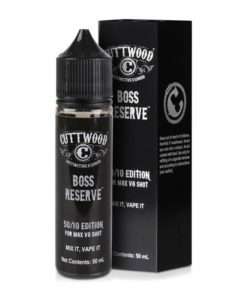 Available in a 100ml short fills so you can add your own nicotine. A simple but nice glazed donut. Excellent value.